Recent claims suggest that Rakigarhi is older (ca. 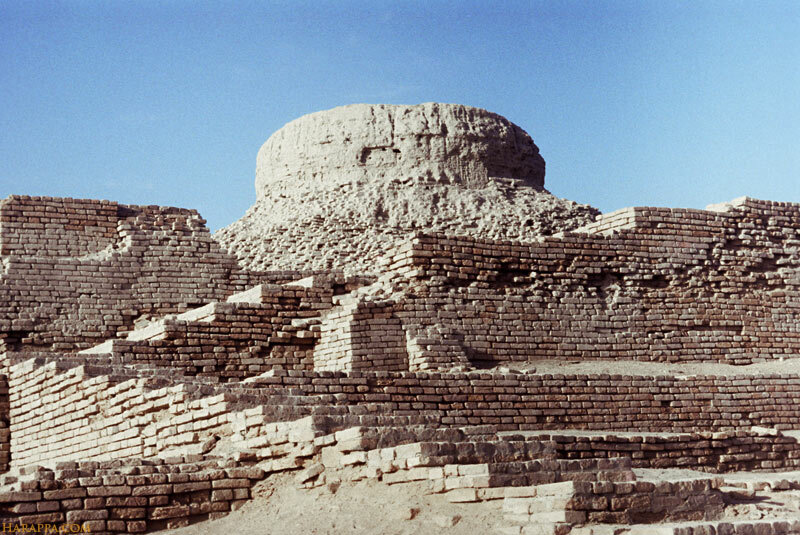 7000 BCE) than Mohenjo-daro. Whereas at Harappa thus far evidence of settlement prior to 3500 BCE has not been found (among limited excavations), of Mohenjo-daro's age excavator Ernest Mackay wrote: "Owing, however, to the fact that the bed of the Indus has risen some twenty feet or more in the course of the ages, it is impossible without very costly plumbing machinery to explore the earliest levels of Mohenjo-daro; in one place, where the excavations have penetrated forty feet below the surface of one of the principal mounds, the objects found were identical with those of later levels. Below this limit digging cannot continue, although it is obvious that the walls descend to yet lower levels in the now water-logged soil, and there is no doubt that the foundations of the city are of a much earlier date than the levels it has been possible to reach; yet there is no reason to suppose that the people who originally founded Mohenjo-daro were in any marked degree more primitive than its inhabitants in later days. Both bronze and copper were found in the lowest levels excavated, a fact which is not surprising, for the former metal was in common use in Sumer some five thousand years ago. But no Neolithic material has been discovered, so it is unlikely that the site was established as early as the Stone Age." (Ernest Mackay, The Indus Civilization, 1935, pp. 7-8).